Pete Ramsey became the first Black director to win an Oscar for “Best Animated Film” for his masterpiece, “Spider-Man: Into the Spider-Verse”. “We love you, and we just want you all to know, we see you. You’re powerful. This world needs you, okay, this world needs you. So please, we’re all counting on you,” Ramsey said of the countless minorities who have gone their whole lives without seeing themselves represented in film. Overall, this film had the most diverse cast in the Marvel cinematic universe, and that is absolutely something to celebrate. This film teaches its audience that anyone can be a hero. “I am a son of immigrant parents from Egypt. 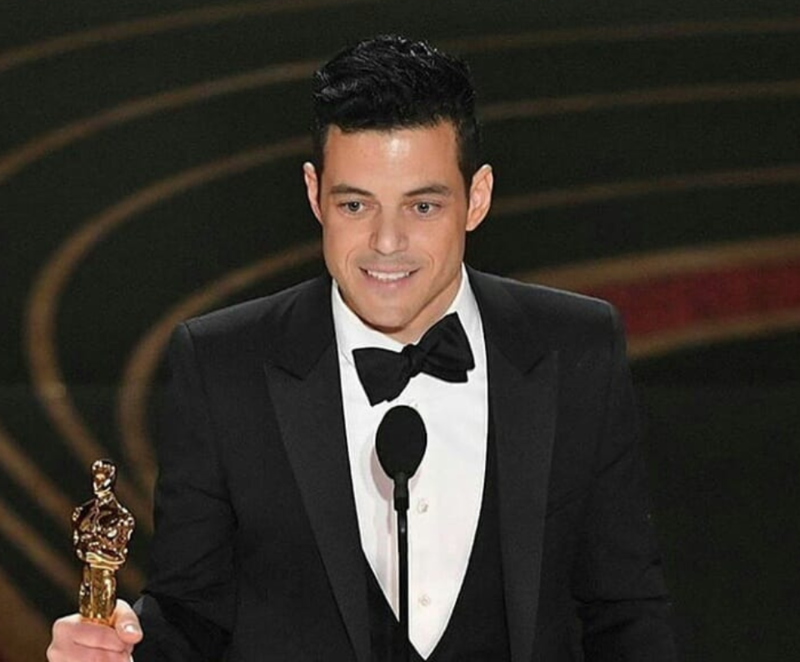 I’m first generation American,” announced Rami Malek as he made history. This moment was nothing less than aspirational for our Coptic brothers and sisters, who continue to face persecution in Egypt. Last night, Hannah Beachler became the first African American woman to be nominated for and to win the Oscar for her production design work for “Black Panther”. Additionally, fellow African American, Ruth E. Carter, swiftly followed by earning an Oscar for “Best Costume Design”, thus making her the first Black woman to do so. As if that wasn’t enough, “Black Panther” also won the Oscar for “Original Score”! Not only was this a huge win for Marvel, but it was also a huge win for the idea that stories told by minorities are worthy of being heard. It was incredible to see a film like “Black Panther” win not one, but three Oscars! “Green Book” won “Best Picture” and “Best Actor in a Supporting Role”! As an American Muslim, this was especially exciting to see since I don’t remember ever seeing a Muslim win an Oscar before. It’s a step in the right direction, and I hope that we see more Muslims in the film industry so that our stories get told in a positive light. Director Alfonso Cuaron’s deeply personal tale following social cohesion throughout sociopolitical upheaval in Mexico took the prize for “Best Foreign Film”. The former director of “Harry Potter and the Prisoner of Azkaban” said, “To create a single frame of film, as you well know, requires the work of a lot of people, very hard work.” By the end of the night, Cuaron’s film had won two awards—”Best Director” and “Best Cinematography”. I haven’t watched this film yet, but after hearing about it during the Oscars, I’m interested in seeing it. Although Lee finally got his Oscar, he claimed that he should’ve gotten it sooner, according to the CBS report on the Oscars. We couldn’t agree more, and we hope that this beautiful display of diversity is the first of many for an awards show that spurred the hashtag, “Oscars So White”! Regardless of whether or not you watched the Oscars this year, this list highlighted what I thought were the most important parts of the night. I think that there was a lot more diversity this year than usual, which I believe is a step in the right direction. What’s important now, however, is that we continue to hold those in power responsible to ensure that diverse stories continue to get the attention they deserve!